McKesson has completed its acquisition of System C, the UK specialist provider of software and services to the health and social care markets, for £87m. The deal brings together System C’s next-generation Medway suite of clinical and administrative software and its proven volume deployment capability, built up under the National Programme for IT in the NHS, with McKesson’s client base, financial strength and reputation. McKesson will no longer bring its US Paragon patient administration software to the UK. Instead, it will encourage its 26 legacy NHS hospital trust customers to migrate to the System C Medway product. Last week, System C signed a key contract to supply Gateshead Health NHS Foundation Trust with the Medway PAS/EPR, following a six-month competitive procurement. “McKesson has an existing PAS customer base, running trusted systems at the very core of their organisation. It is paramount to us that we are able to offer them a proven, best of breed solution which will meet their future needs. Dr Ian Denley, chief executive of System C, told eHealth Insider that he saw a huge opportunity for System C as a McKesson company and confirmed that McKesson customers would be offered the Medway PAS/EPR. “The current management will be staying," he said. "For McKesson hospital customers we hope to convince them of the benefits Medway, together with our strong presence in social care with Liquidlogic. System C is to retain its identity as a separate company, and will operate under its existing management team as System C. Together the two firms will employ 1,200 people in the UK and Europe. 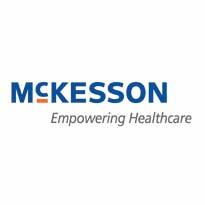 McKesson Corporation, headquartered in San Francisco has a £12.8 ($21) billion market valuation and is currently ranked 15 on the Fortune 500. The company is a healthcare services and information technology company dedicated to making the business of healthcare run better. McKesson UK provides the NHS with the NHS Electronic Staff Record serving more than 1.4m NHS employees. Health helpline NHS Direct has revealed that it hopes to get access to England’s Summary Care Record.